Mary specializes in coaching beginner and intermediate athletes at all distances. She coaches triathletes and runners. Mary is also a certified swim coach and swim instructor. Several coaching plans are offered. Please email for more information. Mary Carey began her coaching career in 2001 as a marathon and triathlon coach for the Leukemia & Lymphoma Society's Team in Training program (TNT), the world's largest and most successful endurance-training program. She has coached dozens of athletes to marathon and half-marathon completion and hundreds of athletes to triathlon finishes. She now focuses on personal and small-group coaching in the Denver area. 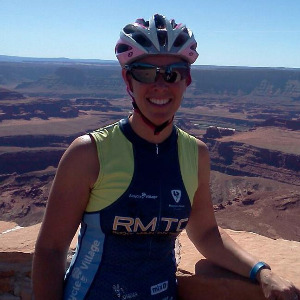 Mary is a USA Triathlon Certified Coach (Level I). She is also a masters swim coach in Highlands Ranch, a Slowtwitch Certified Triathlon Swim Coach, and a swim coach at SwimLabs. Mary's personal clients strive to achieve personal bests in half marathons and marathons as well as triathlons of all distances. Specializing in beginner athletes, her goal is to help people realize their fitness dreams through endurance sports - completing a marathon, completing a triathlon, or just adopting a healthier lifestyle. Success. Coach Mary Carey has been notified of your message.